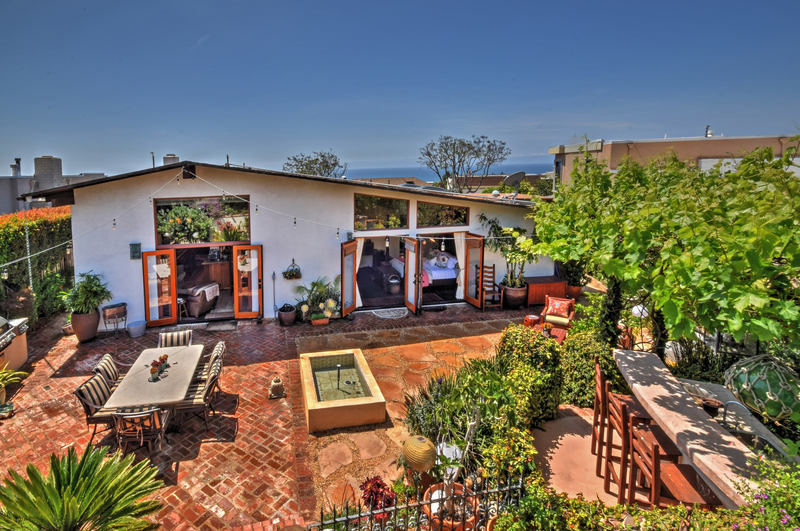 Situated in Malibu, in the hills above the Getty Villa, this home offers access to Santa Monica and Pacific Palisades, beaches, restaurants, and shops. 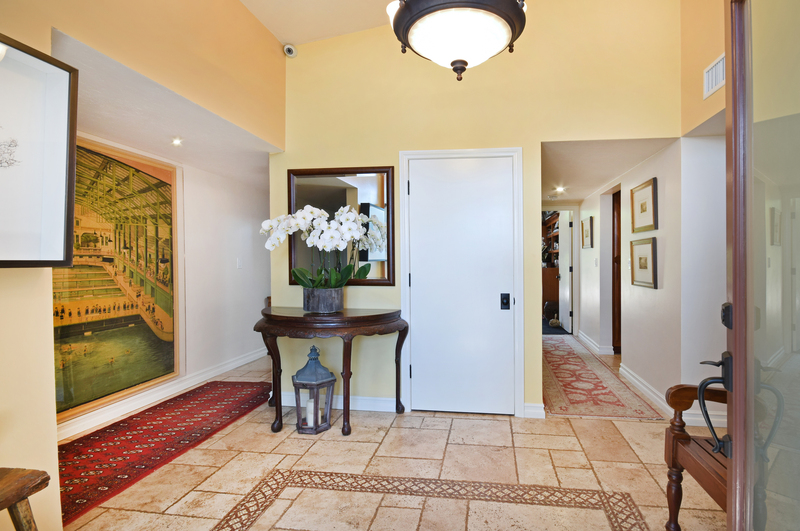 Enjoy the quintessential beach living through this private gated home. Greeted by a tropical entry, enter the home complete with travertine flooring, custom Honduran cabinets, and extensive granite and marble surfaces. Each bedroom features French doors that open to the ocean breezes. The second level living room has a wood burning fireplace and balcony to enjoy the full Queen’s necklace, white sand view and full view of Catalina Island. The luxurious master bedroom features two custom designed walk-in closets, a master bath with granite walls, custom cabinets with abundant storage and Carrera marble counters. A Japanese-style couple’s soaking tub and oversized cshower offer serene views of the outside lush gardens. 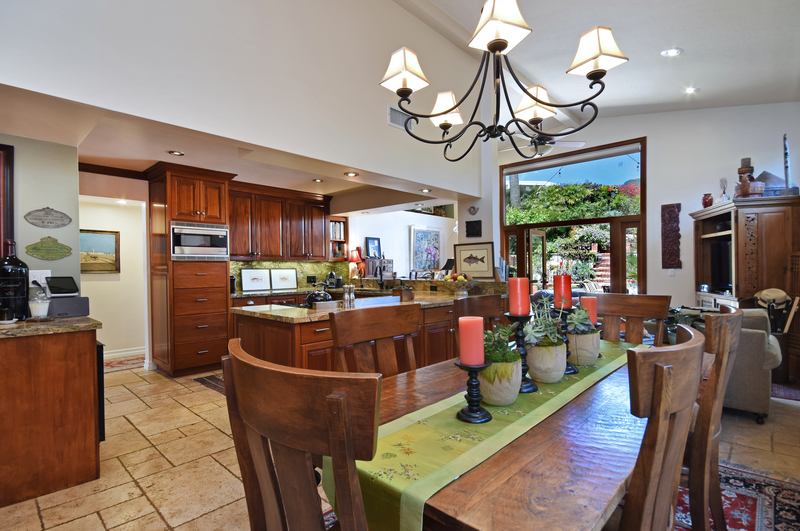 The open floor plan kitchen, family room, and dining room flow seamlessly to the outdoor living space. 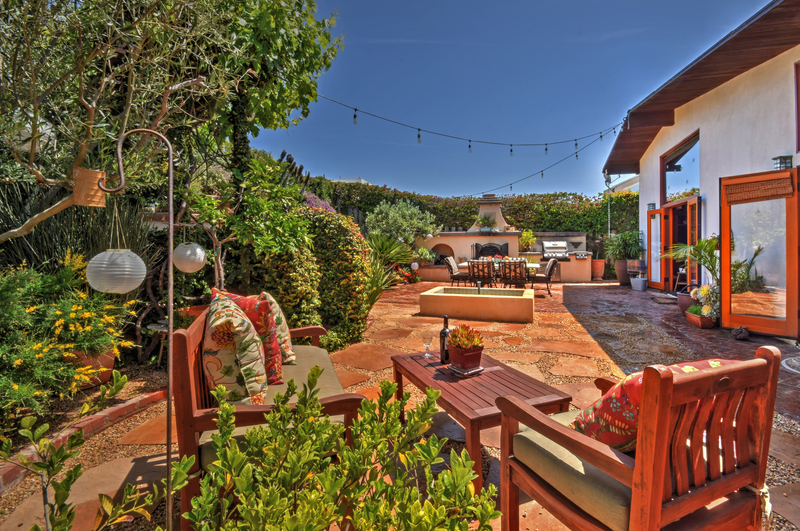 Three individual lush yards include a saltwater pool, mature fruit trees, raised vegetable beds and an intimate entertainer’s bar draped with grapevines. Enjoy al fresco dining along the beautiful outdoor fireplace BBQ area that presents a tranquil, private retreat. The garage offers ample storage and electric car charger. This home is listed for $2.75 million with Dilbeck Real Estate and is showcased by Luxury Portfolio.